HOME > SEEN > SEEN Soundcloud Scan > Soundcloud Scan: General Trix, Dub Boy & SoulForce. Soundcloud Scan: General Trix, Dub Boy & SoulForce. 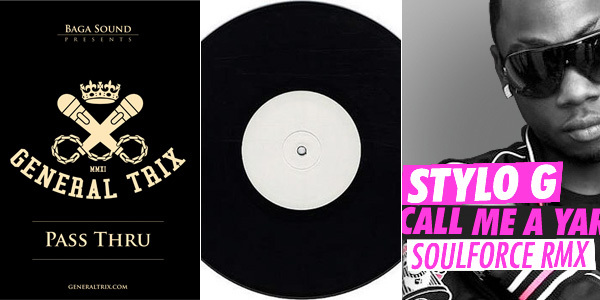 Some sonic artillery on a Sunday morning: The new single from General Trix which was produced by digital specialists Kanjah Dubz & Baga Sound, an unofficial remix from Dub Boy who mashed up Schlachthofbronx w/ Warrior Queen and Mungos Hi Fi, and another quality remix from SoulForce who gave Stylo G’s »Call Me A Yardie« an extra-portion of dancehall vibes.